This is a Guest Post by Praveen, who is a blogger & is associated with YouLoveCoupons. You can find the latest working Hostgator coupon code and godaddy coupon codes there. Bringing in more traffic to your website is a never ending process and this is like the everlasting spring for your website or blog. One of the powerful aids that help in driving more traffic to your website will include the use of social media, of which Facebook gains prominence owing to the number of users of Facebook being more than a million. Add your website to your Facebook profile with a brief description of how this is going to be more useful when you choose to be a regular reader and tempt the visitors of your profile to visit your website also. Your profile is going to be the key for Facebook, which will be driving traffic to your website. You do not have to add new people to your personal profile. This is why we suggest you to start a new business profile in which you can choose to opt-in for becoming friends with new people and share your profile with them. This way you will find yourself exposing your website details to new people. Currently Facebook has set the maximum limit for friends to be 5, 000 so it will be great to get 5, 000 new readers to your website. For a little money that you spend on Facebook, advertise on the basis of pay per click and you will also find that you are spending heaps of money on advertisements and online promotions but this will be paid back to you in some other forms. This is one of the most popular ways to spread the word across the virtual world and can gain you immense traffic to your website than any other means. Gather your colleagues online at a time and conduct interactive events like a Q&A event, conduct polls and giveaways for participation like freebies or your product samples and you will be finding that you yourself can encourage more readers to go through your website to find answers and ask questions. Join a fan page, a group, or a cause and spread the message across Facebook using the all-new Facebook email, which is much more effective in fetching more visitors for your website by promoting the mere presence of a website like the one that you have. For example, promote your travel website by joining Incredible India. After reading this, hope you will be coming back for reading once or twice more, to see that you have done everything that has been told by us for using Facebook to drive traffic to your website. You will find that you are unraveling the power of the online social media to do the business for you! Do you suggest any other method to drive traffic to your blog using Facebook ?? Hi Praveen I really like your post. I’ve try to drive traffic trough facebook using facebook advertising. It’s very good traffic if we can target some people that have same interested. Without a doubt good starting points on setting yourself up to start generating traffic with Facebook. Putting ALL of those to use over a serious amount of time will certainly help those things work. Good list. The only thing I haven’t done much is #4. Something I need to work on. You’ve mentioned very critical points in your post which needs to be considered for generating huge traffic to your site or blog. Thanks for these great tips praveen, I agree with satish’s comment because I have tested that and let me tell you all the truth it really works. 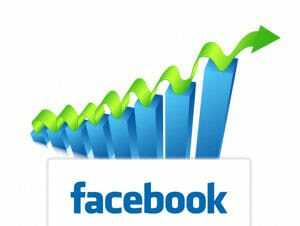 Facebook is the Easy Method to get a High Traffic. The only Thing to do is just Create a Fan Page with Huge Likes. I wanna do Network Marketing in Facebook. But I want to get more into a online community, that is more along the lines of people looking for work. …. Any suggestions? Hi Praveen, I have to admit I’ve been slacking with #5 groups. I can see where being part of multiple groups on facebook would bring you more traffic. Thanks for all your great tips. Make a good Fan page of your blog or website and keep sharing other sources info on it . If you have targeted followers and friends then they will sure like it and keep sharing you page with other friends too . i some what agree to you that ‘SE+good content’ still rules the traffic game but, ‘FB like+good content’ can make your content go viral around the world. if you have a Fan Page on FB and a fan box on your blog (obviously with good content) then even a single like by a person with 150 friends will make your content to be seen by those 150 friends and knowing that one of their friend liked that content the probability of getting more likes increases. Thus, again putting your content to more 150 people’s personal wall with a friend’s reference. I m using facebook for a long time but not able to get enough number of traffic from it. Now I would try working on tips you shared. Surely it will help me in increase high traffic. Thanks a lot! Creating a Facebook page will be very Effective and you can also exchange likes through Twiends. What you say Praveen? Wow conducting polls and events sounds very interesting to try. I would have never thought of this. Thank you for the informative post. I am also planing to jump in Facebook and ill adopt your every steps mentioned in this post. Nice post. Now, one more way to originate traffic. The Facebook freinds list has a lot of benefits. One of them is the availability of a lot of readers who really want to read your content. Thanks for sharing the wonderful post. I have made a separate account just for promoting. I share my posts there. In fakt i feel a bit ashamed to share my posts in my first facebook account. Web traffic, specifically free website traffic is on the minds of all bloggers and webmasters. We all want to learn how to increase website traffic. And for the right reasons; The success of your site relies heavily on the amount of internet traffic it receives. Even the greatest and best looking sites with hundred and thousands of pages of informative content won’t do you any good, if you can not generate traffic to it. There are many ways to increase website traffic, including paid methods, which are sometimes very effective as well. However, most of us, especially beginners, don’t have the money to spend on paid traffic generation methods. Fortunately there are many easy ways you can get free traffic to your blog. Great post! Thanks for the info. I’m always a little shy about running contests. I just started a Facebook page for my site in April, and am at a standstill. I just don’t want to come across as one of those people who looks like they’re desperate to get LIKES. This motivated me to come out of my shell a bit. Using Facebook fan pages to drive traffic to any website or blog is very important. Facebook has a large audience and you an easily find people interested in your niche. Making your page interactive is the key to having a successful fanpage. To leverage more on this, you’d need to ask questions, post videos and relevant articles, put up contest and post useful links to quality information. With these, your fans would interact with your page content and your page would grow in popularity.